Once more we introduce you to another female-fronted metal band. 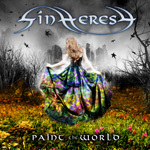 This time it's Italy's Sinheresy with their debut album, Paint The World. 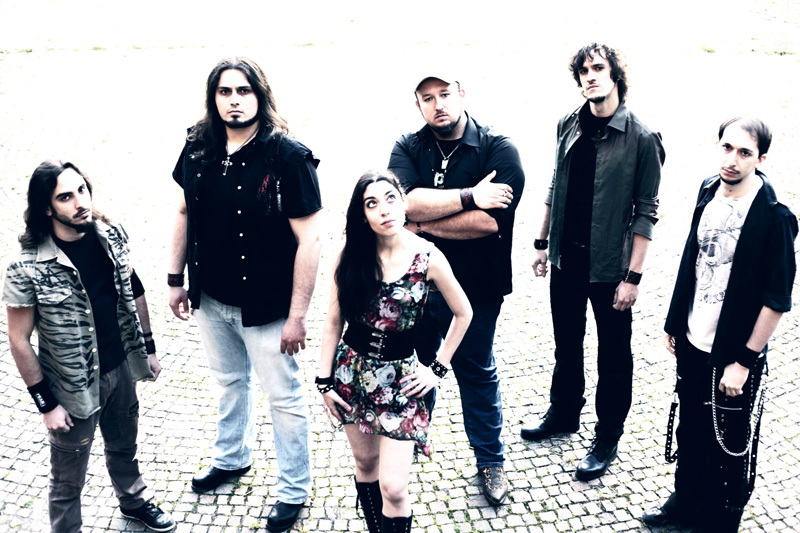 It's probably not fair to call Sinheresy only a female-fronted band as most songs are some form of duet with vocalists Cecilia Petrini and Stefano Sain. Petrini's vocal style is typical of [insert any current goth/symphonic female metal vocalist here]. She's good, and the obvious lead, but sometimes she's trumped, even stomped on, by the music, and her vocal partner. Sain, on most songs, sounds like anything from an afterthought to an interruption as if he really has no reason for being there. On the first several songs, you might wonder if he can really sing. But, with Roses & Thorns and Angel, true duets, you discover he actually can. It's hard to believe it's the same dude. Perhaps not. Musically, Sinheresy doesn't stray far from typical melodic power metal, with obvious symphonic and gothic notes. Press material suggest some progressive nuances, but I don't hear it. However, songs like Last Fall and the Gambler sound like a clutter of heavy, thrash, and power metal rushing along in bombastic clatter. What Sinheresy is better at is dropping those characteristics and sticking with more accessible melodic, low key power, metal like Eula's Gift or Paint The World. The latter is likely the most exceptional track here among some rather standard European female-fronted melodic power metal. There are some sharp guitar leads throughout, a very positive thing. With the glut of female-fronted metal bands being so pervasive these days, Sinheresy will need to bump up their game if they want to compete with the big guns like Nightwish, et al.. They are years from doing anything as significant as the latest from Nightwish, for instance. But they're off to a better than average start. Recommended to those who love the female-fronted metal genre. Sinheresy is merely another of the many female-fronted metal bands nipping at the heels of the reigning bands with typical melodic and symphonic power metal.